This is a shield-shaped Phillips 66 porcelain sign. This particular Phillips 66 sign is orange and black. 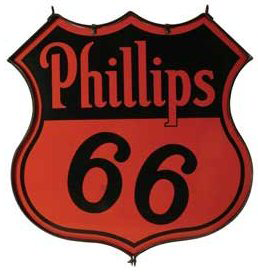 It reads, “Phillips 66”.